The International Integrated Reporting (<IR>) Framework is the new framework on the block. The difference it brings is its emphasis on integrated thinking through principles-based guidance for preparing an integrated report. In this way, <IR> complements, rather than competes with, existing reporting standards such as the GRI Sustainability Reporting Standards. I recently sat down with Eric Israel, sustainability practitioner and former GRI Director for North America, to talk about <IR> in preparation for ISOS Group’s upcoming launch of <IR> training. 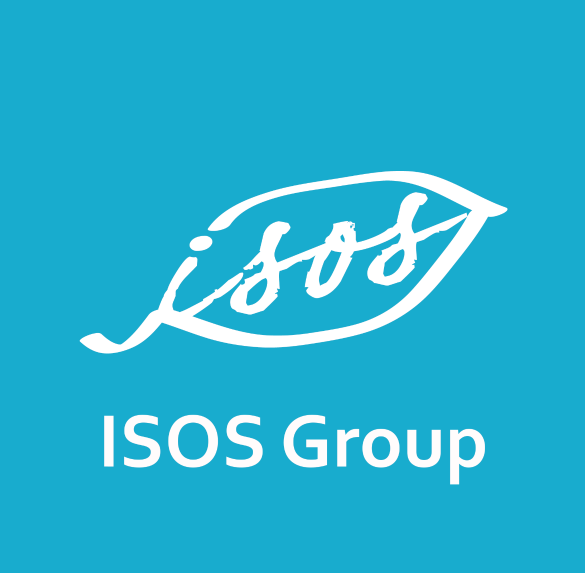 Disclaimer: The views and opinions expressed by interview participants do not necessarily reflect the opinions of ISOS Group. Brian Noveck: Tell us a little about yourself and your experience in sustainability field. Eric Israel: I started (my work in sustainability) in 1997 with Royal Dutch Shell and was one of the team members responsible for the verification of their first sustainability report. At that time, there was no framework or reporting standard, but I encountered GRI. They were in the process of developing their first guidelines, issued in 2000. Then, over the years, I was involved in the development as a subject matter expert with respect to the economic dimension. Eventually, in 2014, I would become the GRI Director responsible for North America (U.S. and Canada). For those of us with short attention spans, in under 10 words, how would you describe Integrated Reporting? Now could you give us a more detailed explanation of what <IR> is and how it fits within the sustainability reporting space? <IR> creates a mental framework in which practitioners can see how an increase, or decrease, in one capital has an impact on the other capitals. For example, if you invest in employee training, that will decrease financial capital, but it is not only an expense or a loss. It can lead to an increase human capital because employees are better prepared to create value for your organization. The reason why <IR> was developed as a framework is to provide practitioners with flexibility. Integrated thinking is not easily standardized. Whereas GRI and SASB are more rigid. They are standards which need to be followed, like financial reporting standards. Where is Integrated Reporting being practiced? It is limited. It is important to remember that IR is relatively new, having been introduced 4-5 years ago. Its adoption will not happen overnight. However, there is one country where IR is mandatory, South Africa. It is here where you can see how the <IR> framework is applied to also include the standards developed by GRI. I see tremendous opportunities for companies to implement integrated thinking as a tool for developing strategy, enterprise risk management systems and governance development. <IR> provides insight into long-term value creation, which the current financial reporting framework doesn’t provide. Puma, for example, developed an environmental P&L and concluded that there was not enough leather available to support their growth strategy. <IR> provides longer-term insight as to where companies want to go and how feasible it is. Why should practitioners be aware of Integrated Reporting? It’s the future of reporting and it is important for career advancement. Unfortunately, most financial professionals have never heard of <IR>. Universities and B-School students, who will become our future CFOs, don’t know about it. If you want to do something smart and are still a student, in B-school, a young professional or anyone for that matter, invest in educating yourself on integrated thinking and reporting. Why should companies consider <IR>? <IR> and integrated thinking will help companies to analyze resiliency to cope with the turbulent times we live in. How well prepared are you against climate change, global trade disputes, inequality and other macro trends. These trends with a high level of uncertainty require a framework to understand what is going on and how organizations need to respond. Further, if a company is still working on an accounting system that is 20-30 years old, they are in trouble. The same applies to corporate strategy and thinking. Companies must apply the latest level of thinking, and that is integrated thinking. <IR> is the newest framework on the scene. What are the biggest hurdles it will face? The investor community is still too focused on short-term performance. As long as the investment community is looking at short term, quarterly performance it will be very difficult for the <IR> Framework to be relevant. Current regulators are too focused on existing financial reporting frameworks and they are trying to fix imperfections, for which there are many, within the current framework. The philosophy of financial reporting goes back 400-500 years. <IR> is a based on a philosophy that relates to today. A lot of shortcomings stem from the financial market’s reliance on financial reporting because that practice is generally accepted. While there are complaints about the current system, it still seems to work and there is still no credible alternative. That is what <IR> needs to become. What can the International Integrated Reporting Council (IIRC), the global not-for-profit organization that developed the <IR> Framework, do to improve adoption in the coming years? Three things need to happen: education, education, education. Only a few B-schools and universities teach <IR> to future financial professionals. This is a huge miss, and it is dangerous. You can’t expect current CEOs to know about <IR> because, when they went to university, those courses didn’t exist. So how can you expect someone in that position, who never had that training, to feel comfortable to make changes based on <IR>. Unfortunately, today’s business environment is one of winners and losers. I believe there is a choice in an organization to be a part of the winners or the losers. There is a lot at stake right now because we already see what Amazon did to the retail industry. There are huge disruptions going on within industries that worked well for many years. Suddenly, there are disruptive technologies that change entire business models and companies need to respond. This is where <IR> and sustainability can help companies. Interested in attending <IR> training? ISOS Group recently partnered with Enact Sustainable Strategies, an <IR> Training Partner, to offer one- and two-day courses in the United States. To celebrate this collaboration and ignite the U.S. market, team members from both firms will co-deliver the inaugural training in New York City in April 2019. Learn more. Disclaimer: Eric Israel serves as a contractor for ISOS Group and will assist in delivering <IR> training on behalf of ISOS Group.